It's hip to be square... and here are 3 graphic options for you . All are 60" wide. 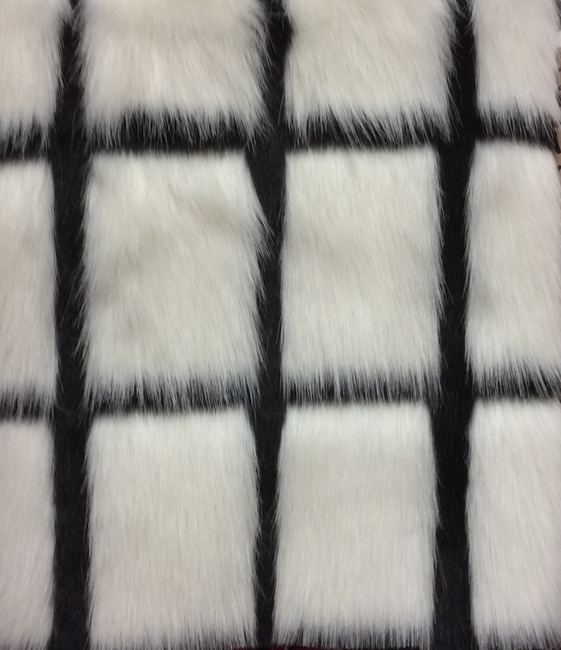 Checkered Fox-- 1" long, silky smooth white fake fur with black base. The white rectangles are 3.5in wide and 5in tall. 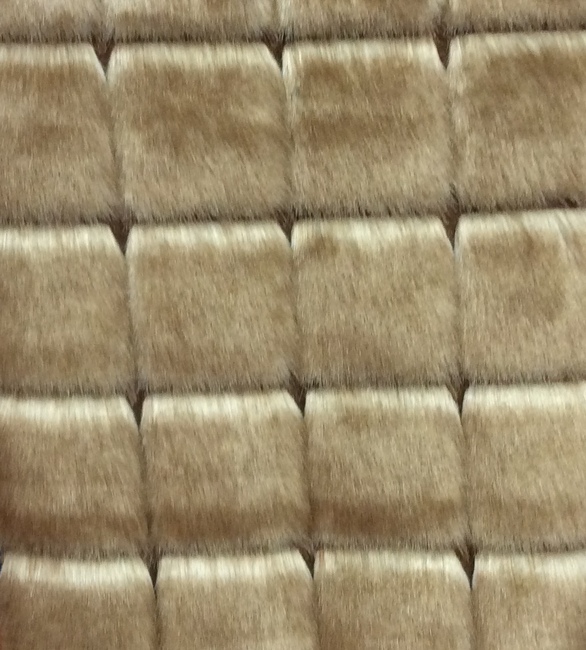 There is about an inch of soft short black fur in between the rows. Checkered Kitty- The blocks are about 2" wide by 3" tall in a very soft, short black fur. The longer tan hairs that are surrounding are about 1 1/4" long. The tan border is about an inch in between the blocks and 1 1/2" in between the rows. 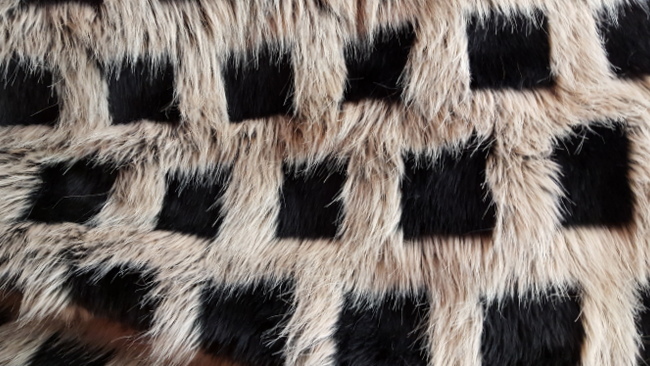 The rows of blocks in this fur are off-set so they don't form a grid like the other 2.